Our 2014 Sauvignon blanc was very much influenced by the vintage and we see a more tropical fruit styled wine, as opposed to the 2013 vintage that was more green and limes. On the nose you’ll get aromas of apple, pineapple and peardrops mixed in a wonderful balanced way. The palate has a soft acidity, so little more relaxed than younger Sauvignon blancs, because we tank and bottle age it. 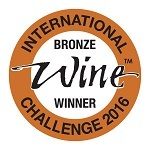 The wine is relaxed and approachable, but with a lingering freshness and minerality that is our trademark style. 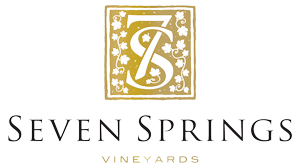 This was the wettest and toughest vintage Seven Springs’ has endured and it was one on the wettest around the world. Floods and heavy rains throughout the winter, leading to lots of reservoir water for the vines. Summer canopies were lush and beautiful because of all the excess water, but overall the Summer was hot and humid and we did not experience the customary wind conditions. This lead to very high disease pressures in the vineyards and action had to be taken. It was a year of high yields and not the best of quality. This was the vintage where the viticulturists had to show their skill. 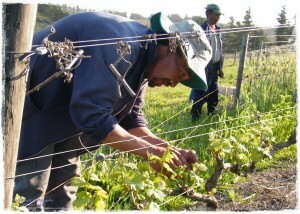 The quality of wine was determined by the health of your vines. Thank goodness we had Peter. The cooler regions and white wines were the least affected by the bad weather.